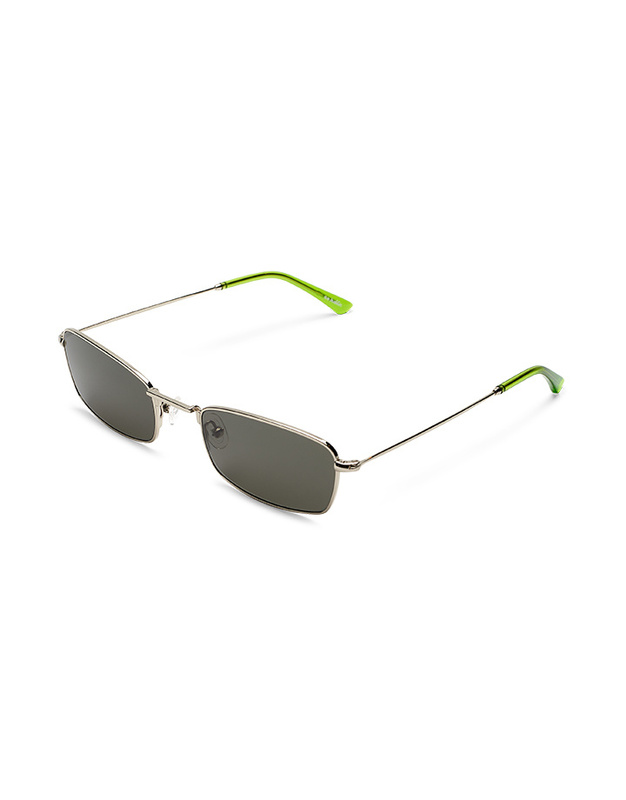 The E-40 sunglasses from Sweden's Sun Buddies, is a slim, rectangular 90’s inspired metal frame in a silver color way with strong green semi transparent temple tips. Handmade of stainless steel and Italian acetate. 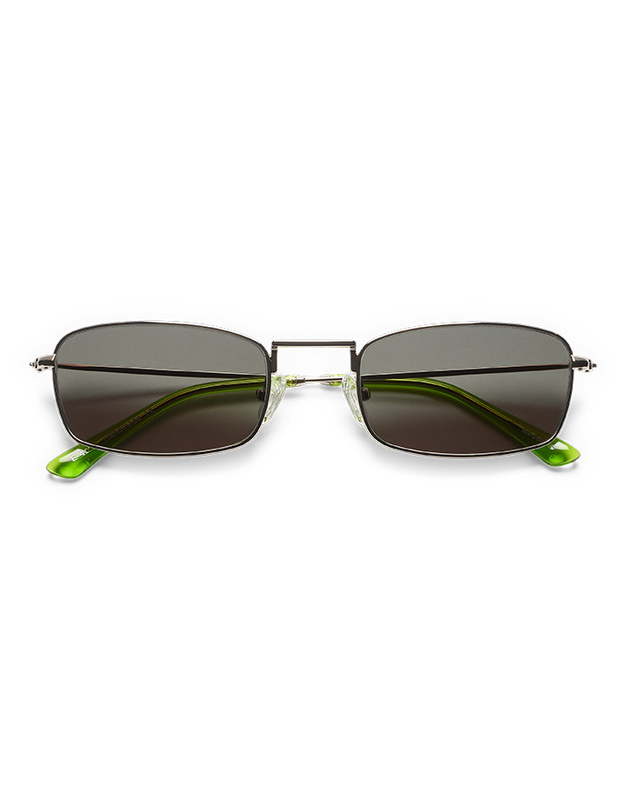 Green/G15 Carl Zeiss lenses with 100% UV protection and a three bar hinge with vintage inspired detailing on the temple.